Former US Ambassador Ronald E. Neumann talks about the way forward after sixteen years of US engagement in Afghanistan. The event will be held Monday, Mar. 13 from 6:00 to 7:15 p.m, at the Performing Arts Center on the campus of Aquinas College. No reservations are needed, free parking available, pay at door. Admission: $10. The public may sign up for advance notice of upcoming events from the World Affairs Council by visiting worldmichigan.org or signing up at the event. "I think we tend as Americans to be focused on winning. In a conventional war, you have a surrender ceremony and after that everybody goes home. But, with Afghanistan, our policy for winning needs to address a longer future," said Ronald E. Neumann, former United States Ambassador to the Afghaniston. On Monday, March 13, 2017, Ambassador Neumann discusses,”Afghanistan: Fight…or Run?” as part of the World Affairs Council of Western Michigan’s Great Decisions Global Discussion Series. The United States has engaged in over fifteen years of continuous military operations in Afghanistan after the Taliban launched an attack from that country on 9/11. Ambassador Neumann will address possible ways forward and the costs of staying in or withdrawing from Afghanistan. 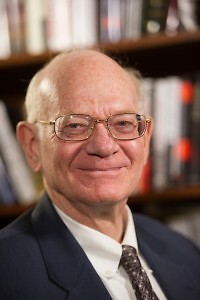 Formerly a Deputy Assistant Secretary of State, Ronald E. Neumann served three times as Ambassador; to Algeria, Bahrain and finally to Afghanistan from July 2005 to April 2007. Before Afghanistan, Mr. Neumann, a career member of the Senior Foreign Service, served in Baghdad from February 2004 with the Coalition Provisional Authority and then as Embassy Baghdad’s political/military liaison with the Multinational Command. Ambassador Neumann is the author of The Other War: Winning and Losing in Afghanistan (Potomac Press, 2009), a book on his time in Afghanistan. He has returned to Afghanistan repeatedly, and he is the author of a number of monographs, articles, and editorials. He is on the Advisory Committee of a non-profit working in Afghanistan, the School of Leadership, Afghanistan (SOLA). He received State Department Superior Honor Awards in 1993 and 1990. He was an Army infantry officer in Viet Nam and holds a Bronze Star, Army Commendation Medal and Combat Infantry Badge. In Baghdad, he was awarded the Army Outstanding Civilian Service Medal. He earned a B.A. in history and an M.A. in political science from the University of California at Riverside. Currently, he is President of the American Academy of Diplomacy, composed of former senior ambassadors and leaders in foreign policy. The Council is dedicated to educating people in western Michigan about other countries and cultures, as well as providing a forum for discussion of critical foreign policy issues. In existence since 1949, the World Affairs Council of Western Michigan is a non-partisan, non-advocacy educational non-profit organization. With 60 member companies and almost 3,000 members, it has grown from being a small volunteer Council to a mid-size Council with a professional staff. It is one of the most active, growing Councils in the national network of 100 World Affairs Councils.